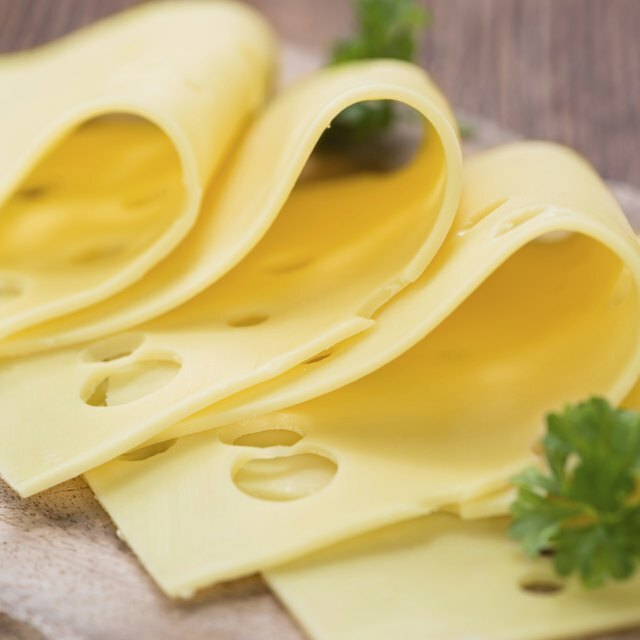 1 How Many Calories Are in a Slice of Swiss Cheese? 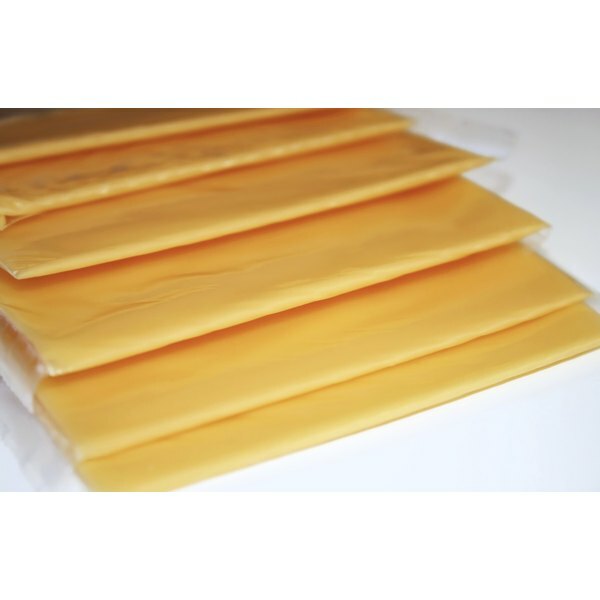 Kraft Singles are American cheese, which is a processed cheese product rather than a natural cheese like cheddar or Swiss. These slices are made with milk, whey, milk protein, milk fat and more than a dozen other ingredients. In addition to the original yellow Singles, Kraft makes 2 percent milk Singles for those who want less fat and fewer calories. Each regular Kraft Singles slice contains 70 calories, as well as 7 percent of the daily value for fat, 15 percent of the DV for saturated fat, 5 percent of the DV for cholesterol, 9 percent of the DV for sodium and 1 percent of the DV for carbohydrates. It also contains 25 percent of the DV for calcium, and 4 percent of the DV of vitamin A. Each 2 percent milk Singles slice contains 45 calories, as well as 4 percent of the DV for fat, 8 percent of the DV for saturated fat and 3 percent of the DV for cholesterol. Each slice also contains 20 percent of the DV for calcium; all other values are the same as for regular Singles.